Chelsea crushed Stoke City 5-0 at Stamford Bridge yesterday, as they rose up to second position in the Premier League table. The Blues were showing brilliant composure in-front of the goal apart from one player – star striker Alvaro Morata. The Spain international wasn’t able to find the net despite having two great close-range opportunities in his 75 minute appearance. Stoke keeper Jack Butland did well to save these chances, but from a player of Morata’s caliber, you’d expect to put both of them to bed. Antonio Conte sent Morata a message in the post-match interview, warning that the 24-year-old really needs to work on his finishing. Of course, he’s happy to see the former Real Madrid forward create these chances for himself, but stresses the importance of scoring goals when playing as a striker. “It was a pity because for strikers it’s always very important to score. But I’m more worried when our striker doesn’t have opportunities or chances. In this case Alvaro did well to stay in the right place. Cont also reminded that last time Chelsea faced Stoke, the Blues cruised into a terrific 4-0 away victory with Morata bagging his first Premier League hat-trick for the club. 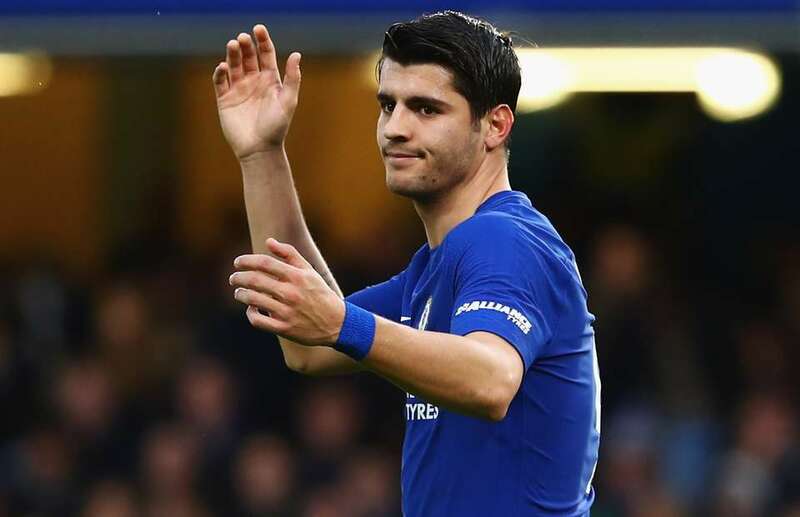 Yesterday’s game was very easy for Chelsea, but against oppositions like FC Barcelona we’re not going to get as many chances to score, so Morata really needs to be at his best then.